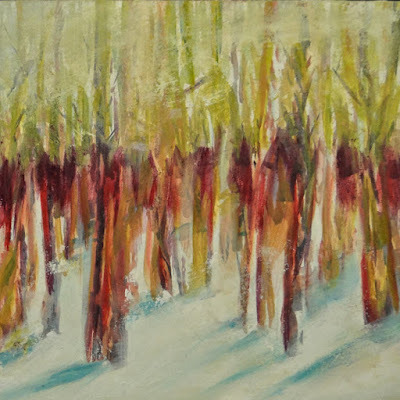 diana lynn's painting a day: Winter Walk. 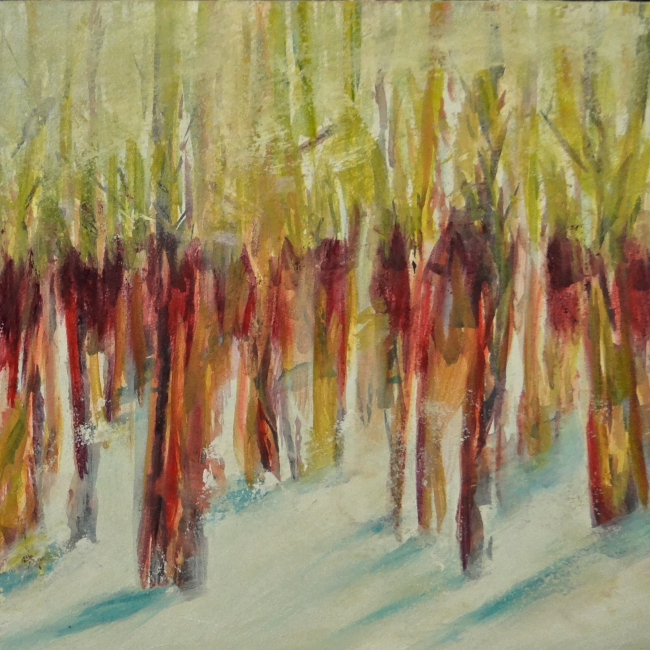 A little abstract of what I see when I walk in the woods in the winter. This is a watercolor under oil and the vibrant watercolors add a lot to it. All in all a good walk.